When you step into Csendes, you step into an alternate dimension. 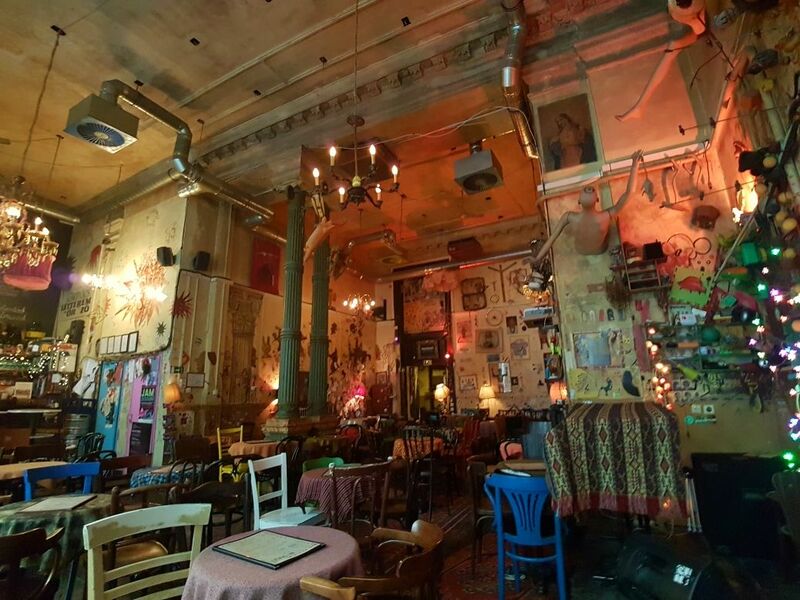 The strange and crazy statues, inappropriate furniture and grafitti art altogether give this place harmony and coziness. But why is there a bike nailed to the wall and a destroyed mannequin? Well, it doesn’t matter as long as it looks awesome and creates a scene you’ve never experienced before. Csendes has taken the ruin bar style to the level of fine art, and presented the most you can make of this ruin trend. Despite the fact that most of the furniture was collected on junk clearances, they look nice and they are really comfortable, although if you’re looking for an exclusive place, the absolute favouriteis the bathtub in the corner, sawn into two pieces. The guestslist is mixed as it can be, more or less intellectual faces from ELTE faculty of arts next door, their professors, couples on their first date or large groups in deep conversations. In the afternoon the place is more like a comfy café, but at night alcoholic drinks rule the place instead of tea parties. You’ll find fine beers and wines on the menu, along with seasonal specialities that keep you warm in the winter and refreshed in the summer. Prices are fair, especially compared to other ruin pubs. There are occasional movie nights as well, with classics everyone love, or just never felt the urge to watch them. For sure, the place has a particular atmosphere, it’s easy to become a regular guest there in no time!